Petrakis P.E. in cooperation with Kostis P.C., Kafka K.I., Valsamis D.G. (2018) "General Economic Development and Growth", Ropi Publications, ISBN 978-618-5289-22-5. Petrakis P.E. (2017) "Economic Development and Growth. General and Integrated Approach", Quaestor Publications, ISBN 978-960-99388-7-7. Petrakis P.E. (2016), (Ed.) “A New Growth Model for the Greek Economy:Requirements for Long-Term Sustainability", Palgrave McMillan. Petrakis P.E., Konstantakopoulou D. (2015) “Uncertainty in the Entrepreneurial Decision Making: The Competitive Advantage of Strategic Creativity”, Palgrave MacMillan. Petrakis P.E. (2014) (Ed.) “The Rebirth of the Greek Labor Market. Building Toward 2020 After the Global Financial Meltdown", December, Palgrave McMillan. Petrakis P.E. (2014) “The Two Temptations: The Difficult Path of the Greek Economy after the Crisis and the Temptations of Counter-Systemicity and the Third Memorandum”, Zacharopoulos Publications, Athens, ISBN: 978-960-208-881-4, p.312. Petrakis P.E. (2014) "Culture, Growth and Economic Policy", New York and Heidelberg: Springer, ISBN 978-3-642-41439-8, p. 250. Petrakis P.E., Kostis P.C., Valsamis D.G. (2013) "European Economics and Politics in the Midst of the Crisis; From the Outbreak of the Crisis to the Fragmented European Federation", New York and Heidelberg: Springer, ISBN 978-3-642-41343-8, p.274. Petrakis P.E. (2012) “The Exit”, Eurasia Publications, Athens. Petrakis P.E. (2012) “Entrepreneurship and Education”, Eurasia Publications, Athens. Petrakis P.E. (2011) “The Greek Economy and the Crisis. Challenges and Responses”, New York and Heidelberg: Springer, ISBN 978-3-642-21174-4. Vettas N., (2012) Book Review: The Greek Economy and the Crisis: Challenges and Responses by Panagiotis Petrakis, Journal of Economic Literature - Book Review, Vol.50, Issue 4, Review DOI: 10.1257/jel.50.4.1106.r14, Review Pages: 1142-43. Petrakis P.E. (2010) “The Greek Economy: Challenges (until 2010)”, Papazissis Publications. Petrakis P.E. (Ed.) (2010) “Case Studies in Investments’ Evaluation”, Maria Katharaki – Pantelis Kostis., National and Kapodistrian University of Athens Press. Petrakis P.E., Giokas D. (2000) “Public Financing and Private Cost in Tertiary Education”, (in Greek), Center of Educational Research, Monograph, 115 p.
Petrakis P.E. (1999) “The Structure of Media market in Greece”, (in Greek), Athens, Monograph, 386 p.
Petrakis P.E. (1999) “Reinforcement Strategies for SME”, (in Greek), Ministry of Industry, Athens, Monograph, 450 p.
Petrakis P.E., Samitas A. (1999) “The cost of (non) protection of Intellectual Property”, (in Greek), Organization of Intellectual Property, Athens, Monograph, 20 p.
Petrakis P.E. (1997) “The Development and Funding of Industry. Studies of Economic Growth”, (in Greek), Hellenic Banks Association, (March 1997), Monograph, 342 p.
Petrakis P.E., Alexakis P. (1996) "A Comparative Analysis of Domestic, Foreign and Technologically Depended Industrial Companies in the Greek Economy", (in Greek), prologue by S. Thomadakis, Edited by Papazissis Publications, 168 p.
Petrakis P.E. (1996) “Investment Motivation for the SME’s”, (in Greek), Edited by Papazisis Publications, Monograph, 391 p.
Petrakis P.E. 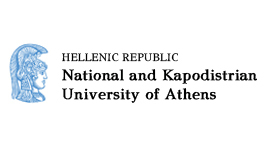 (1994) "Public Borrowing and the Basic Banking Sizes: 1844 - 1869", (in Greek), National Bank Cultural Foundation, Monograph, 81 p.
Petrakis P.E. (1992) “Turning Points of the Greek Economy: 1840 – 1913”, (in Greek), Athens, National Bank Cultural Foundation Publications, Monograph, 236 p.